The Board of Aer Lingus has announced it has rejected a €748m offer by Ryanair to buy the airline. In a statement, the board strongly advised its shareholders to take no action in relation to the Ryanair offer. 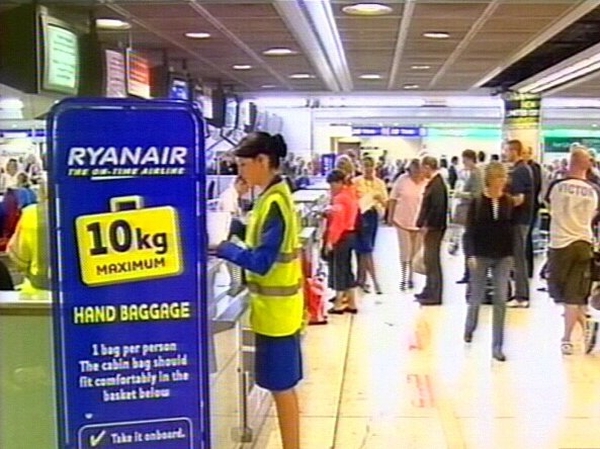 An earlier takeover bid by Ryanair for the airline was blocked by the European Union. In a surprise move announced to the Irish Stock Exchange this morning, Ryanair said it was offering €1.40 per Aer Lingus share. It already owns 29.82% of the former state carrier. Ryanair says it wants to 'merge the two airlines into one strong Irish airline group' under common ownership similar to recent mergers in Europe such as Air France-KLM and Lufthansa-Swiss. Ryanair says the proposal represents a premium of about 28% over the average closing price (€1.09) of an Aer Lingus share for the 30 days to 28 November. It also represents an premium of about 25% over the closing price of €1.12 of an Aer Lingus share on Friday. Ryanair claims both airlines will operate as separate companies with separate brands. It says that if the offer is successful it will double the size of the Aer Lingus short haul fleet from 33 to 66 planes over the next five years. It also promises 1,000 new jobs. Today's approach comes two years after the Aer Lingus board rejected previous takeover interest from Ryanair, calling the offer 'ill-conceived, contradictory and anti-competitive'. Aer Lingus floated on the Dublin stock exchange in 2006 and within days Ryanair began snapping up shares before going public with its takeover interest. Ryanair says that the Aer Lingus ESOT and employee shareholders will receive over €137m in cash if the offer is successful. It also says that the Aer Lingus Chairman will be invited to join the board of Ryanair. The airline says that over the past two years, the trading environment for all European airlines has deteriorated dramatically as a result of high oil prices and the global recession. It points out that over 30 airlines have failed this year. 'This proposed merger of Ryanair and Aer Lingus will form one Irish airline group with the financial strength to compete with Europe's three major airline groups - Air France, British Airways and Lufthansa,' said Ryanair's CEO Michael O'Leary. 'The world has changed dramatically over the past two years, as high oil prices and deep recession have caused a flood of airline bankruptcies, consolidations and capacity cutbacks. Aer Lingus, as a small, stand alone, regional airline has been marginalised and bypassed as most other EU flag carriers consolidate,' he added. He said that the airline has requested early meetings with the Ministers for Finance and Transport, the board of Aer Lingus and the airline's ESOT trustees to discuss the latest move. 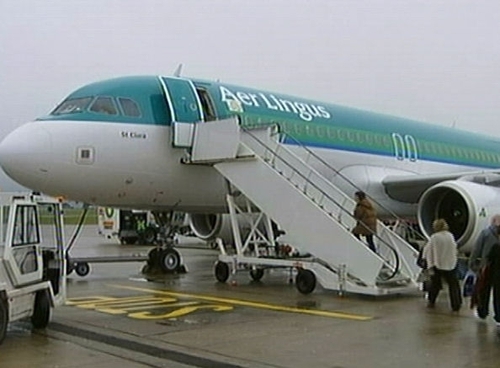 Aer Lingus shares jumped over 16% to €1.30 early this morning following the merger proposal. Ryanair shares were down marginally.